At this time of the year, it's a tradition to review the past 12 months, and recall the outstanding moments of yet another successful year for Abora. Better than words, we'd like to do it with music: here is Abora Recordings – Best of 2015! Bringing no less than 14 tracks (including a never-before-released intro edit of "Hope"), this mix compilation captures the finest moments of uplifting emotional and orchestral trance released on Abora throughout the year. Whether composed by artists who need no further introduction – SoundLift, Afternova, Ikerya Project, Etasonic, illitheas, Farhad Mahdavi, Kelly Andrew, Type 41, Claire Willis, Geert Huinink, Kim Kiona – or by new talented artists debuting on Abora – Nikolauss, Jaki Song, J2P, and many more – those top tracks will surely bring a smile to your face. 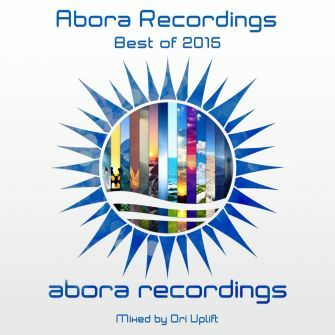 Ori Uplift, Abora's CEO and owner and host of Uplifting Only, then combined all these exceptional tracks into an amazing continuous mix for which he alone knows the secret. Remember to close your eyes while you're listening. Let the music uplift you, or peacefully calm you down, and let your mind wander in a land of emotions. Allow yourself to enjoy a wonderful and inspiring time with this mix compilation!